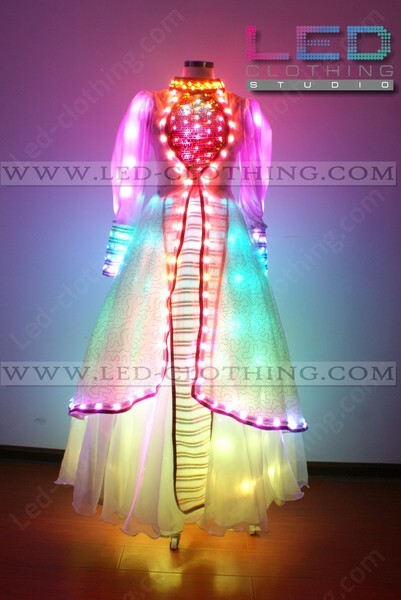 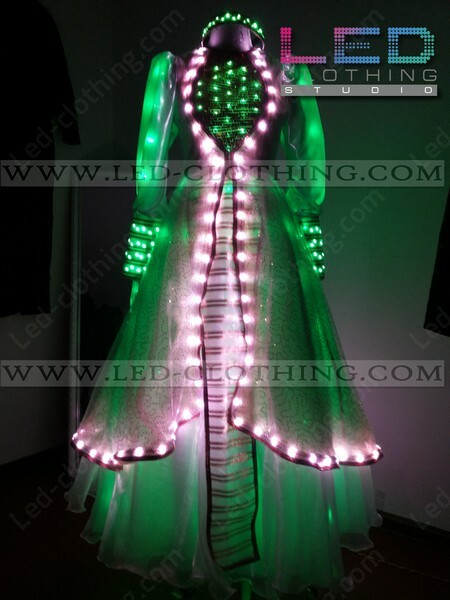 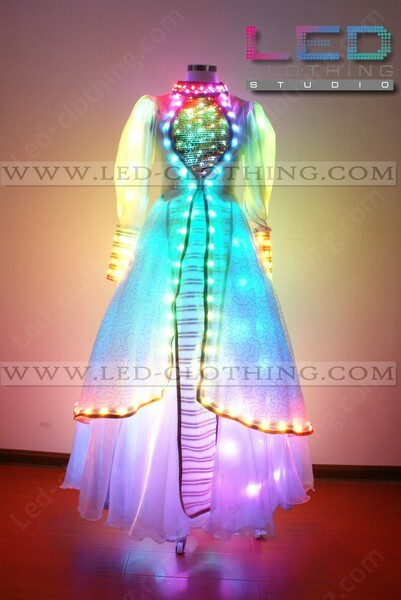 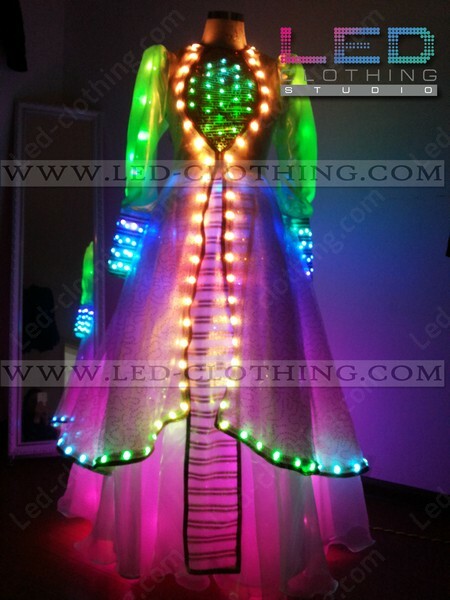 Aladdin LED outfit | LED Clothing Studio Inc. 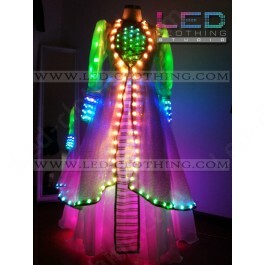 Drawing inspiration from oriental culture this Aladdin LED outfit is long and flowy, made of a light and almost transparent fabric with high-end quality digital LEDs underlining its forms. Quite a number of effects coming with our Aladdin LED costume is controlled by an independent controller of two possible types, SD card controller and wi-fi controller. 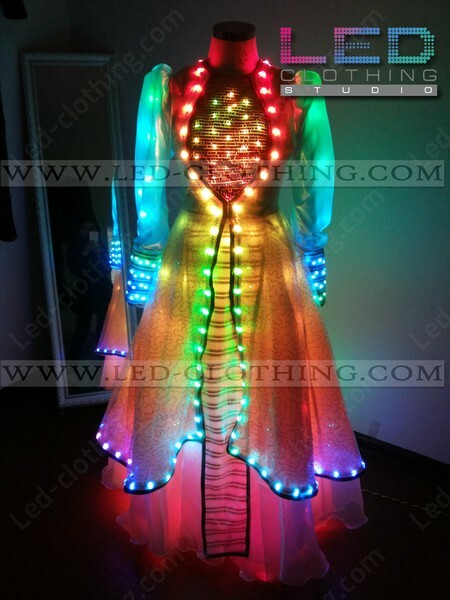 Easily operated software allows to preprogram a desired light effect matching your dancing tact if used in a dance or just set an iridescent pattern.